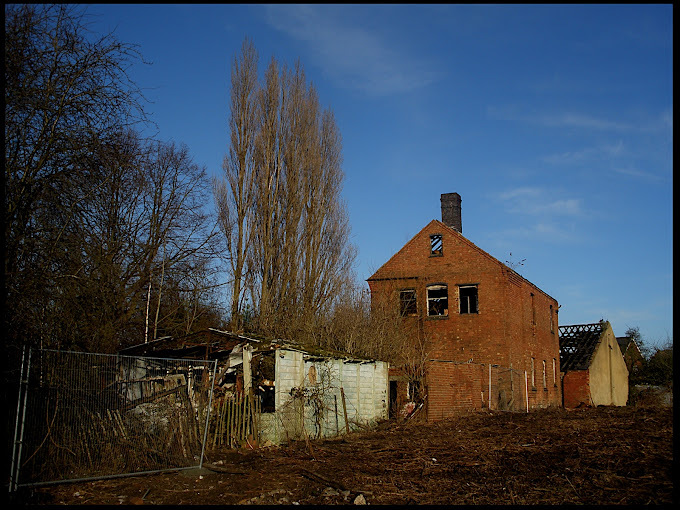 A Victorian brick built factory of impressive scale, long abandoned, gutted by fire, slate roof collapsed to the floor. This site is one that lends itself very well to photographs of dereliction and decay with surprising moments of raw beauty. It will be the subject of a more considered series some time soon, but for now, the view of it from the road, will do.